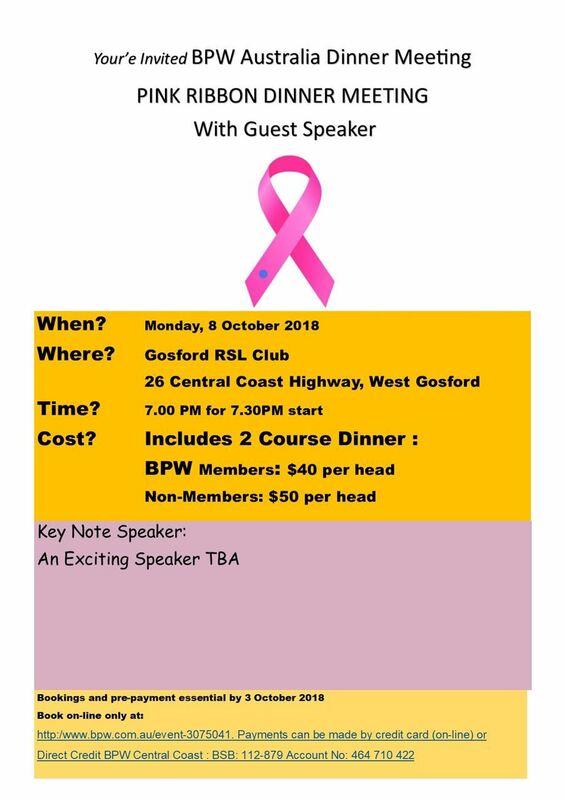 You are kindly invited to attend the annual BPW Central Coast Pink Ribbon Dinner Meeting. Sadly 1 in 8 women will be diagnosed with Breast Cancer before their 85th birthday. 2 Course Meal Included. Raffles & Pink Ribbon merchandise available. Proceeds to support Breast Cancer Foundation.